I like a good salad. I like a good salad even better when I can turn it into a quick meal that my whole family loves. 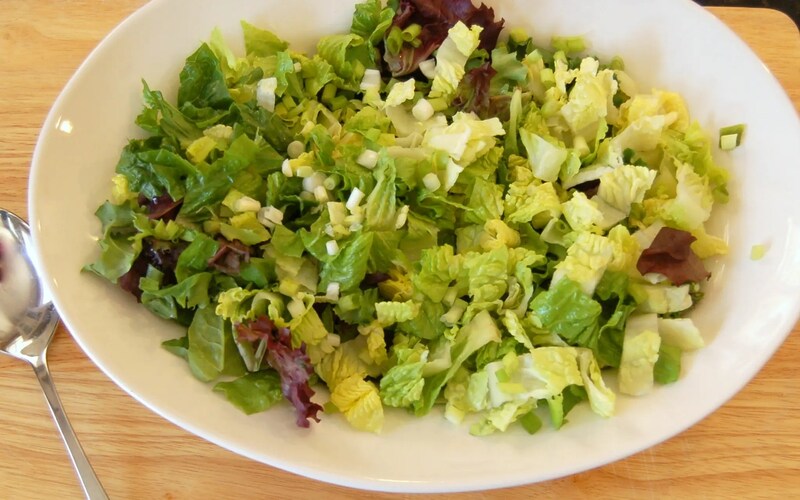 This salad can be on the table and filling hungry tummies in as little as 20 minutes. I’ve used pumpkin seeds in this recipe because they taste good, add some extra crunch, and are jammed packed with vitamins and minerals. I have also used my good friend in the kitchen, the avocado, who adds a perfect amount of creaminess to the dish. One thing you might notice is that I have only used taco chips as a garnish, and I don’t use any cheese. I have been cutting back on the dairy, and with the avocado, we don’t even miss it in this salad. Brown hamburger and onions. I will say it again, the carmalization of the meat by browning adds the flavor. When the meat is brown add in the salsa. 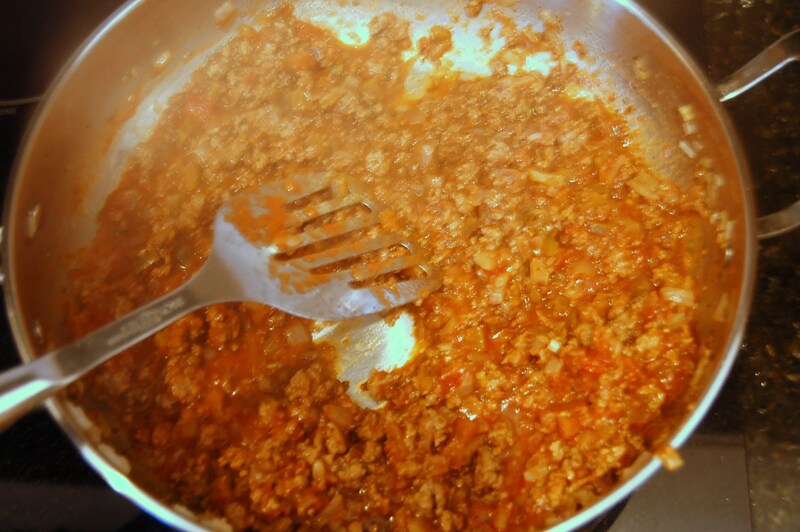 Cook a bit longer to warm it all up and remove from heat. I like using the romaine lettuce for the crunch. To me a good crunch makes for a good salad. Top the greens with the hamburger mixture, tomato, avocado and pumpkin seeds. I don’t think this salad needs dressing because of the saucy hamburger, but if you want extra dressing try sour cream or ranch dressing! 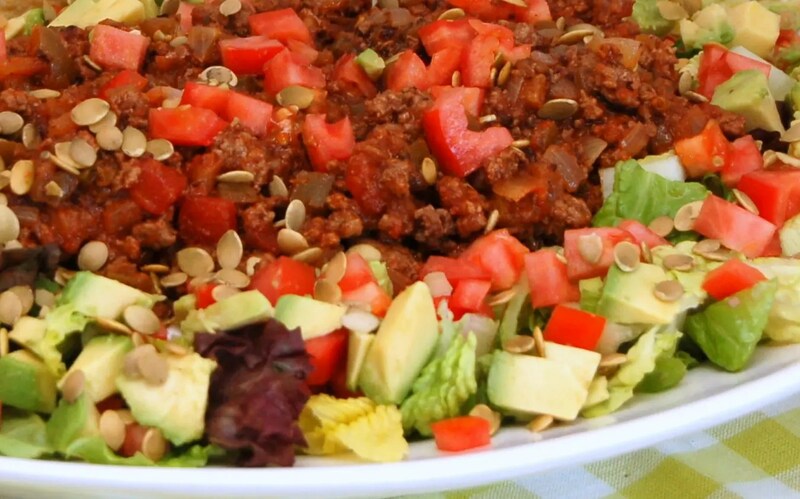 Super easy taco salad makes a great dinner. 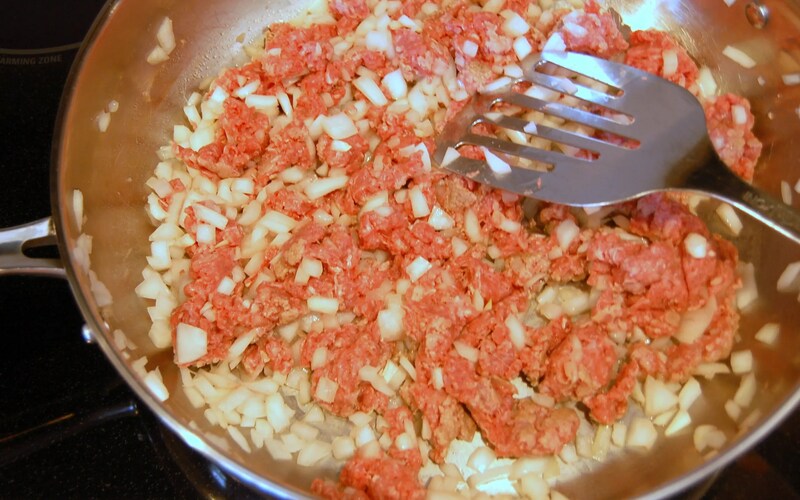 Brown hamburger and chopped onion in a pan over medium heat. Add in the salsa and continue to cook until the mixture is warmed through. Remove from heat. Make a bed of the chopped lettuces on a large platter. Sprinkle with green onions. Top with slightly cooled but still warm hamburger/salsa mixture. Garnish the salad with diced tomato and avocado. Sprinkle the pumpkin seeds on top. That looks so good & easier than the recipe I use. ! I have to try it ! I’ve made this recipe of yours a few times now. 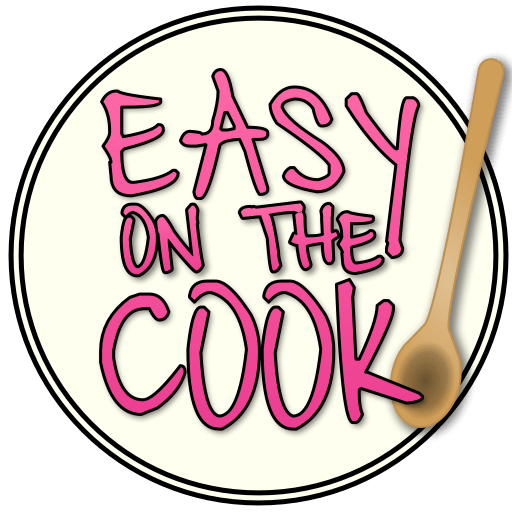 Its so easy and we love it ! So glad you like it! It’s a staple at our house too. Easy and I really salad with healthy pumpkin seeds!